Panoramic Record Storage & Management Ltd. Assisted by our immense industry proficiency and competence in this arena, we are adept to presenting Storage and Safe Keeping of Documents. Delivered underneath the command of adroit and highly assiduous personnel, these presented services are hugely treasured and praised all across the industry. More to this, our capability to alter them as per our patrons’ varying demands has made these immensely recommended. 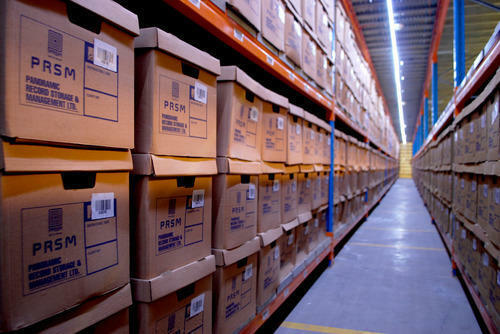 All kinds of physical documents are carefully inventoried and stored at varied customized levels viz Box management, File Management and Document Management. Every item stored can be quickly and efficiently tracked through our web-based services. Incorporated in the year 2008, Panoramic Record Storage & Management Ltd. is one of the distinguished business organizations indulged in the realm of presenting to our clients highly consistent services encompassing Record Storage and Management Services, Record Destruction Service, On-Site Management Services, Record Shredding Service, Record Digitization Service, Record Maintenance Service, Record Retrieval Service and Record Filing Service. Imparted under the association of nimble executives, these are mostly treasured owing to their accomplishment on time amongst the guaranteed span. The employees providing these are chosen from most knowledgeable and skillful executives obtainable in the market. Furthermore, only excellent techniques and amenities are used in the shipment process of these services. Mostly acknowledged and recommended due to their timeliness, customer oriented approach and flexibility, these are highly commended.